While the Bible is one of the oldest texts in history, it contains important lessons about memory and history within its own stories. The text above is seemingly redundant. Why state that the cupbearer both “did not remember” Joseph and then again “forgot him”? Not remembering someone is seemingly not a malicious act. A person could not be remembered because of other activities which gathered more attention or because the person was simply not present. As opposed to not remembering which is a passive act, forgetting is an active verb. It suggests a willful desire to not recall a person or action. In the world of social media, not remembering could be akin to not thinking of someone because they didn’t post anything for some time. Forgetting someone would be closer to unfriending the person. The former is a momentary occasion that comes from a lack of stimuli, whereas the latter comes from deliberate dismissal. In the Bible story, the cupbearer may have not remembered Joseph because he was busy attending to Pharaoh. However, the forgetting of Joseph may have been a deliberate disregard for Joseph because he had nothing to offer anymore. Only when the cupbearer heard of Pharaoh’s dreams and had a chance to gain his master’s good graces, was Joseph actively recalled. Forgetting was tied to self-absorption and selfishness. One could perhaps forgive the new king of Egypt for not knowing Joseph as relayed in the beginning of Exodus. If two people never met – perhaps because they lived in different generations – there was obviously no ill will, just circumstances. But the introduction of Exodus tells us not to be so casual in the reading of the new king not knowing Joseph. Exodus 1:1 “These are the names of the sons of Israel who went to Egypt with Jacob, each with his family.” The bible had just ended Genesis with a full accounting of the children of Jacob; why list them here? Rashi states that it was because the children of Jacob were dear to God and therefore worth remembering, even when deceased. Other commentators say that the extra word “names” in the sentence conveys that their reputations continued to live on. If that is so, how could it be that Joseph – more famous than any of Jacob’s sons – who had saved Egypt and the entire Middle East from famine a generation earlier, could not have been remembered by the new Egyptian king? Did the prior generation passively not remember and actively forget the efforts of Joseph just like the cupbearer? It seems unfathomable that such events and good deeds could have been easily forgotten. The “not knowing” seemingly was connected to active disinformation to disassociate Joseph from Egypt’s success through the famine. Perhaps the new Egyptian king sought to elevate the reputation of himself and his family by rewriting history. The Bible tells us right after the new king’s unfamiliarity with Joseph, that the Israelites were viewed with suspicion and then enslaved. Historic allies became enemies. People who had lived together side-by-side were suddenly in a hierarchical ecosystem. When the cupbearer forgot Joseph, a single person forgot a single person’s actions, and the repercussion was that Joseph remained in prison. However, when the actions of Joseph saving all of Egypt were wiped from memory, the entirety of the Jewish people became enslaved. The situation of denying history with horrible consequences continues today. 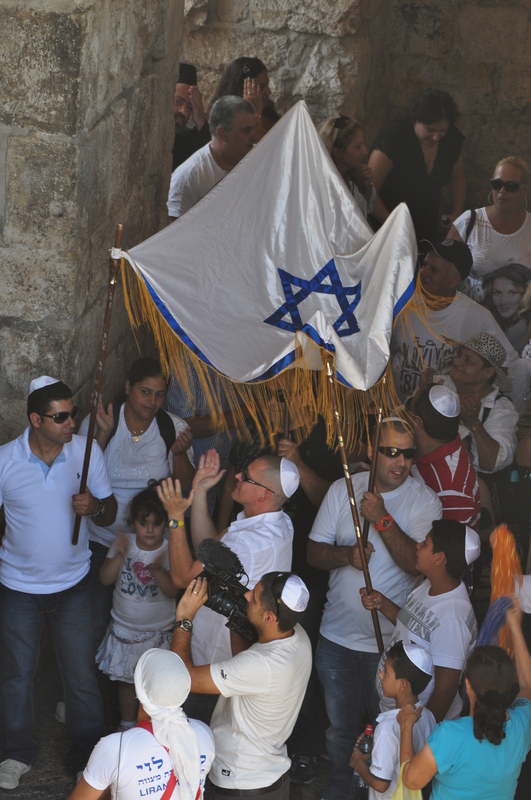 The history of Jews in Israel is not only being forgotten, it is being rewritten. Over the past few decades, the Arab and Muslim world have been very active in denying and recasting Jewish history. Holocaust denial. The leaders of Iran and the Palestinian Authority have taken a variety of approaches in denying the deliberate slaughter of 6 million Jews in Europe, ranging from denying that the event happened to arguing that Zionists plotted with the Nazis to enable the creation of a Jewish State in Palestine (yes, that was the essence of Mahmoud Abbas’ doctoral thesis). The Jewish State was founded in reaction to the Holocaust. In a curious bit of mind-bending, the same people that deny the Holocaust existed, argue that the world gave Palestine to the Jews out of guilt. The 3,500 years of Jewish history is ignored as are the modern international laws of 1920 and 1922 (which predate the Holocaust), explicitly laying out the history of Jews in Palestine and reestablishing their homeland. No Jews lived in Israel. The Arab and Muslim world deny that Jews have any history in Israel. They have gone to such lengths as to hold up the United Nations from putting on a display showcasing Jews’ 3,500 year history in Israel. There was Never a Temple in Jerusalem. Yasser Arafat and various members of the Arab and Muslim world have denied the existence of the two Jewish Temples on the Temple Mount in Jerusalem. Palestinians are Canaanites. Beyond denying Jewish history, Palestinian leaders have tried to rewrite their own history, stating that Palestinians are descendants of Canaanites who predate Abraham’s arrival in Israel, even though Arabs only arrived en masse to Israel in the 7th century (the descendants of ancient Canaanites are actually Lebanese). More “Palestinian” Arabs arrived during the British Mandate 1922-1948, than Jews, from countries including Iraq and Egypt. These are not examples of “not remembering” or forgetting, but much more aggressive deliberate denials of history. And the aim of the Jew-haters is clear: cement the position that Jews are interlopers and foreign colonialists in Arab land. That is the revised history which they want people to know. The Arab and Muslim countries use their vast numbers – over 1.6 billion people and over 50 countries – to change Jewish history at the United Nations and in school textbooks where they are in power. 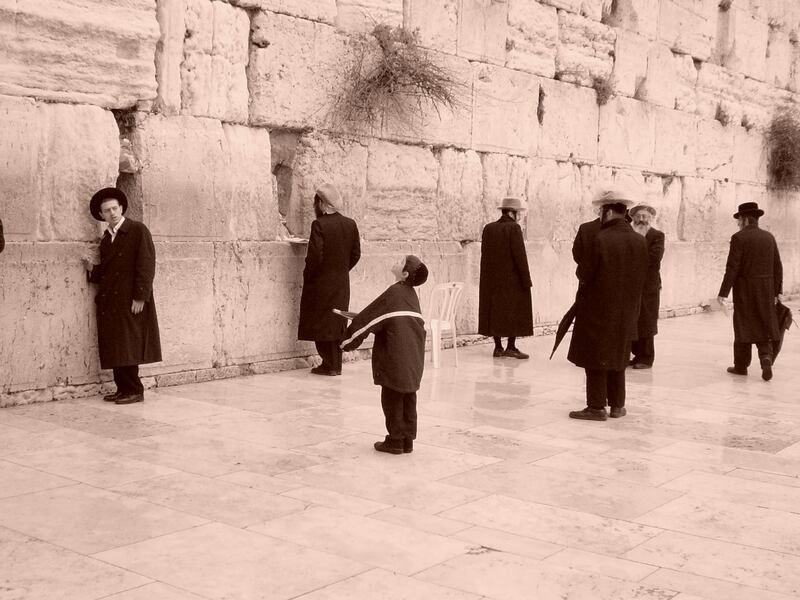 As the eradication of Jewish heritage and history takes root, the next generation of millennials have begun to look at Jews in Israel with disgust. Why are all of these Jews in Arab land? Like Pharaoh in ancient times, they do not know the long and deep history of Jews in the holy land. For the millennials and progressives, those “facts” are stories of fantasy only believed by Evangelical Christians and far-right Orthodox Jews. The only history they know and accept is presented by AJ+ and those backed by Arab and Muslim money funneled into their universities. Insert the word “Jewish” into the Sites. Whether it’s on road signs or maps, whether it’s the Cave of the JEWISH Patriarchs or the JEWISH Temple Mount, reinforce history, be clear that these have always been Jewish sites. Mark HISTORIC dates of Israel’s cities, not just modern ones. It is wonderful to celebrate Jerusalem Day in June on the anniversary of Jerusalem being reunited. 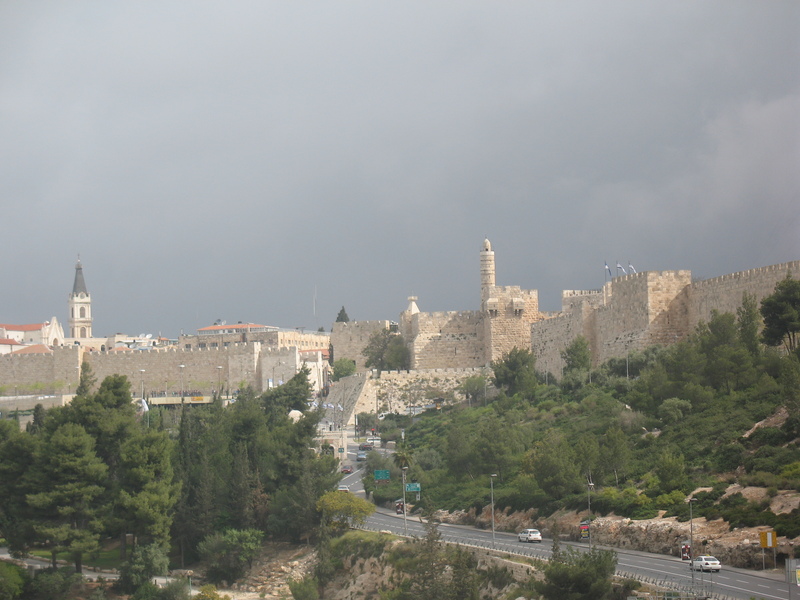 But why not celebrate the day that King David took the city 3,000 years ago; mark Hebron Day when Abraham bought the Cave of Machpelah to bury his wife Sarah. ; Jericho Day, for when Joshua conquered the first city when the Jews came back to their Promised Land; etc. Teach Tanakh in schools. Jewish Day Schools barely teach the stories of the prophets. Only 18 of the 54 parshas in the Torah have a haftorah which includes a section from the historical accounts described in Joshua, Judges, Samuel I & II and Kings I & II. And these short sections are often ignored by people when read on Sabbath. Young and old Jews need to better understand their own history and should read the stories together with maps laying out where the events took place. Endow Israel Studies programs at universities. Iran and Saudi Arabia are funding universities throughout the United States. It is no surprise that the schools getting multi-million dollar gifts for Persian studies like UC Berkeley and Princeton, also have many anti-Israel professors. It is time to have more than three American universities with strong Israel studies programs. 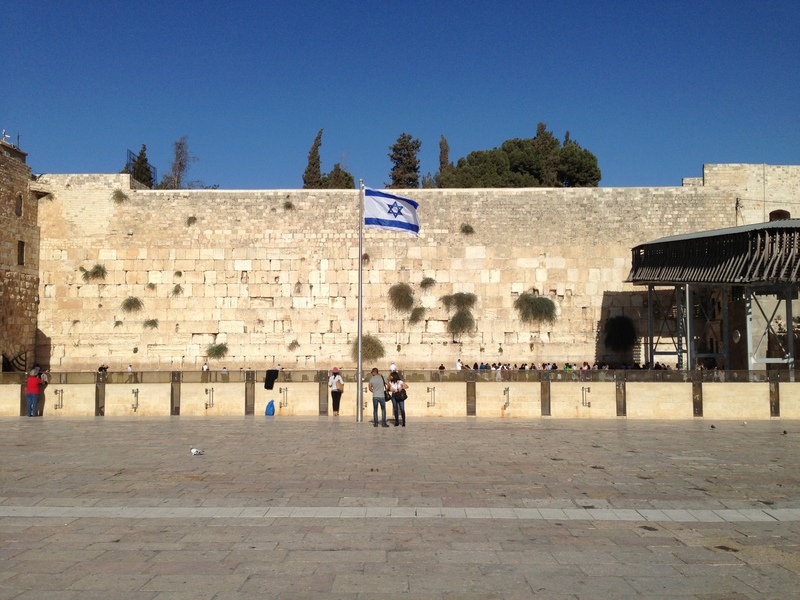 Observe Judaism in Israel. The Bible commands Jews – at a minimum a Jewish king – to write a sefer Torah, so have a permanent sofer, a Torah scribe, at the Kotel or at the City of David just south of the Jewish Temple Mount where Kings David and Solomon had their palaces. Replace the siren that marks the entry of Sabbath and Jewish holidays with the sound of a shofar from the same loudspeakers. 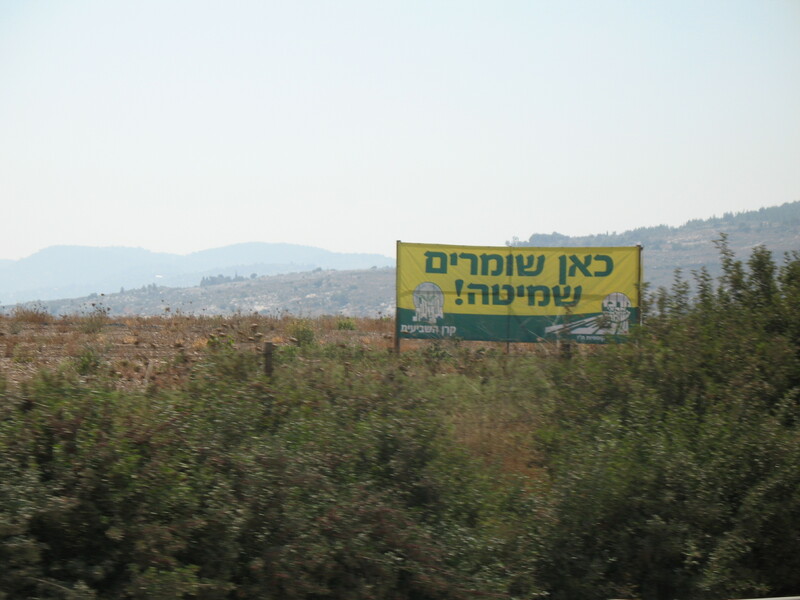 Mark every field that observes shmita with a large sign, including the verses from the bible declaring such law. etc. Arab and Muslim nations have waged an assault on Jewish history, and the alt-left have become willing disciples. People who care about truth, Jews and Zionism must counter this affront with a comparable campaign to remember and not forget the long and remarkable history of Jews in the Jewish holy land. The weekly Torah portion of Vayishlach, describes a famous story in the life of Jacob. It is a message that Israeli Jews continue to hold dear. Jacob had left his parent’s home fearing for his life, as his brother Esau had threatened to kill him. After many years away, Jacob prepared to return with his new large family, only to discover that Esau had a welcoming party for him of 400 men, an army. Assuming a battle, Jacob prepared to meet his brother Esau by separating his family into two groups, hoping that one group could escape while the other fought Esau’s army. Jacob did not anticipate that there would be another fight before he even encountered Esau. 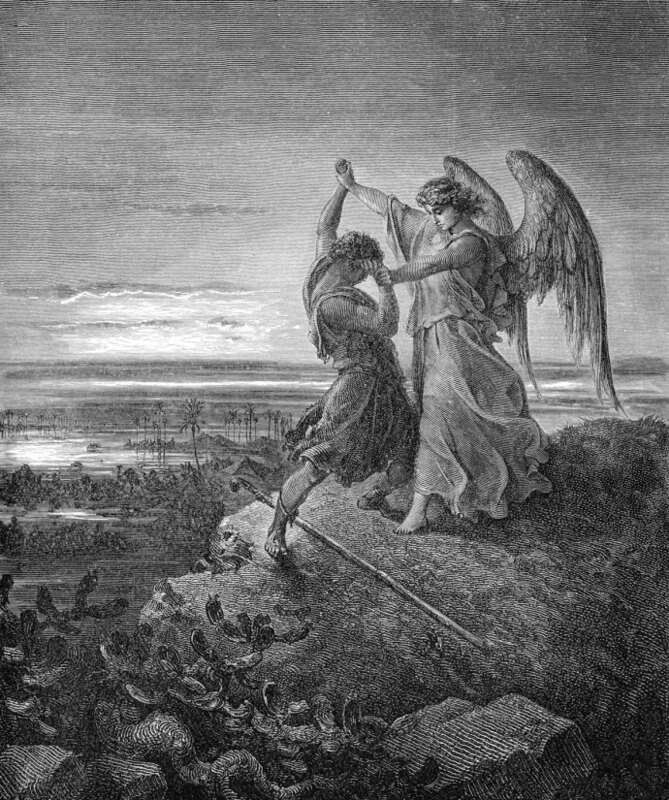 Sages relayed that the man with whom Jacob wrestled was an angel, both a physical man and divinely creature. This angel was both a symbol and a messenger: Jacob had fought with men such as Esau and his father-in-law Lavan, but also in his relationship with God. The angel let Jacob know that as he had prevailed in the past, he would again prevail when he encounters his brother. As such, the angel renamed Jacob “Yisrael” which is a combination of Hebrew words conveying both the struggle and the success. The Jews of today were originally called “the Sons of Israel” in the bible, not the sons of Jacob. They carried Jacob’s new name and the knowledge that while they continued to struggle with both man and God, they would ultimately prevail. 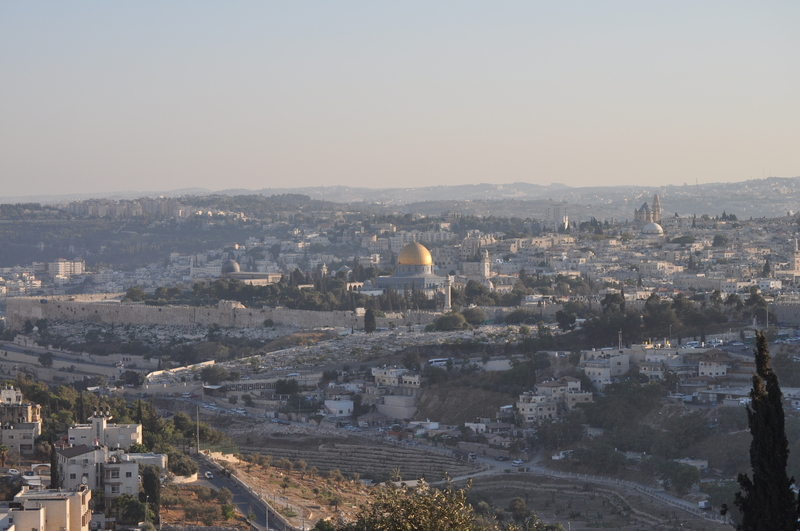 Jewish history is full of difficult encounters with men, whether in the holy land or around the world. Jews lost many more battles than they won which often led them to question their belief in God. Sages debated whether that cause-and-effect was actually reversed, and considered whether Jews lost so many fights because they failed in their relationship with God. The Holocaust is an example of the terrible struggle Jews had with man and God. The very government to which Jews remained loyal, turned on them and butchered them. Holocaust Survivors were left to question both the morality of men as well as the role of God. Was “surviving” really prevailing? On a broader basis, was the establishment of the Jewish State of Israel after the slaughter of one-third of the global Jewish population, really “prevailing?” Is the definition of “prevailing” staying alive, a tangible victory of a self-governing homeland, or simply maintaining faith? The children of Israel continue to wrestle with God and man, but prevail. They prevail in being alive, in the Jewish State with complete faith in God. One of the most famous cartographers in the world was Abraham Ortelius (1527-1598). Appointed as cartographer to King Phillip II of Spain, the religious Christian Flemish cartographer is credited with creating the first world atlas called “Theatrum Orbis Terrarum” or “Theatre of the World.” The atlas was originally printed in 1570 and became one of the most popular books of its time and resulted in a few printings. In total, there were 178 plates amounting to approximately 730,000 printed copies of the various maps. In addition to the maps printed in the atlas, Ortelius also produced “Parergon” maps of interesting places. These “classical” maps were produced by Ortelius himself, as opposed to some maps in “Theatrum” which were adopted from other cartographers. The 56 such plates produced roughly 143,000 printed maps. 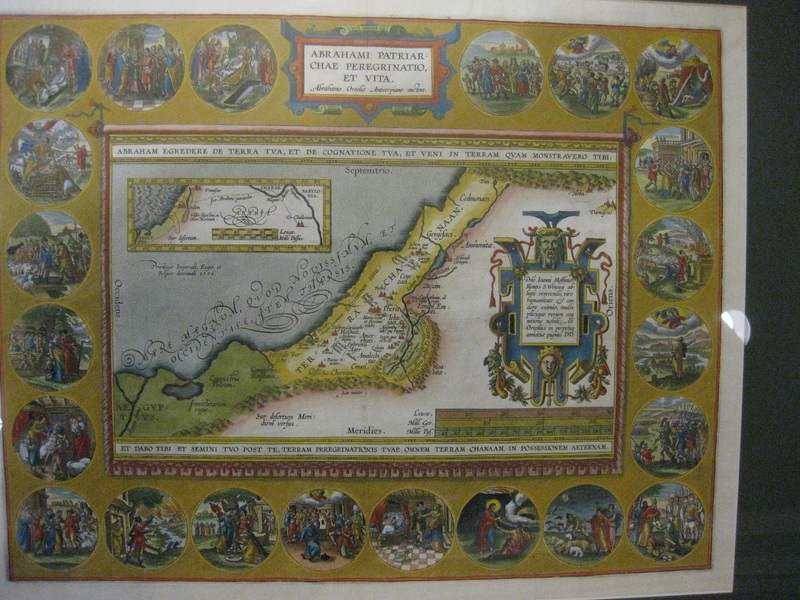 One of the maps of the Parergon was called “Abrahami Patriarchae” which chronicled the life of the biblical patriarch Abraham. The first map was printed between 1590 and 1595 (975 copies made) with a second plate produced 1592-1624 (2925 copies made). The map shows the journey and life of Abraham with an inset map of his journey from Ur to Canaan, as well as 22 medallions of significant life events. The map highlights Ortelius’s gift as cartographer, artist and historian. This map was made by a religious Christian, not a Jew. 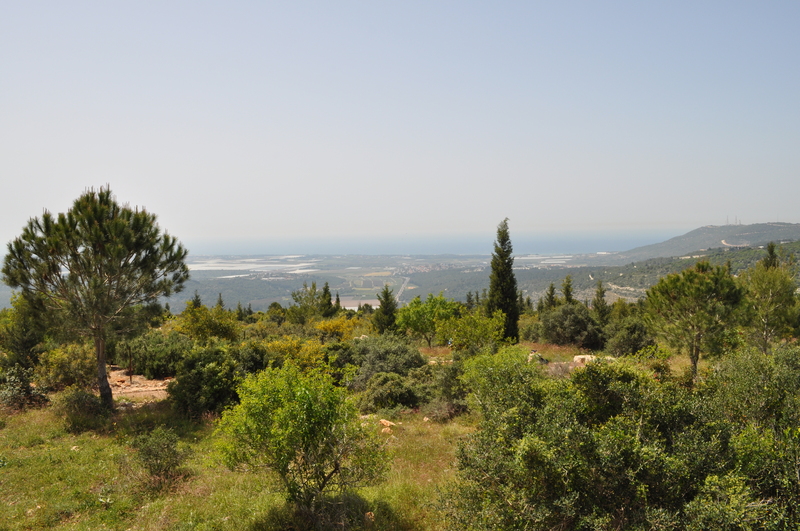 Many evangelical Christians and others that believe in the Old Testament firmly hold that while the holy land may be holy to all of the monotheistic faiths, the land itself is God’s gift to Jews. Indeed, God is the original Zionist. “18 The Lord God said, “It is not good for the man to be alone. Humans believe they are the smartest animals on Earth. While our three pound brain is not the largest in the animal kingdom (sperm whales have 17 pound brains), we humans tend to commend ourselves for our ability to walk upright, develop sophisticated machines, consider things beyond our senses and create the selfie stick. Man was the only creature “made in God’s image” and the only creation which was specifically tasked with “ruling” over other species. The superiority of Man over animals could not be more clearly laid out. Interestingly, the story in the Old Testament quickly moved past man’s supremacy over beasts. We soon read about a lonely man needing companionship so God brings the animals to man to ease the pain of solitude. 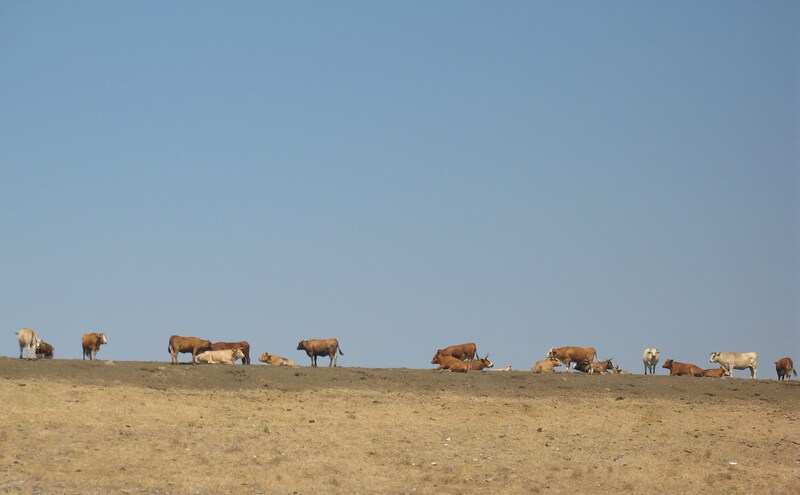 While the Quran relayed some benefits of ruling over animals (food, clothing, beasts of burden), the Old Testament relayed that animals could be a source of company and intimacy. The bible pivots from man’s dominant position quickly. When a snake tricked man into eating the forbidden fruit in the Garden of Eden (maybe it was mad at being passed over by Adam? ), man lost his place in paradise. Suddenly, man understood that he was not only naked, but had reason to fear animals as well. 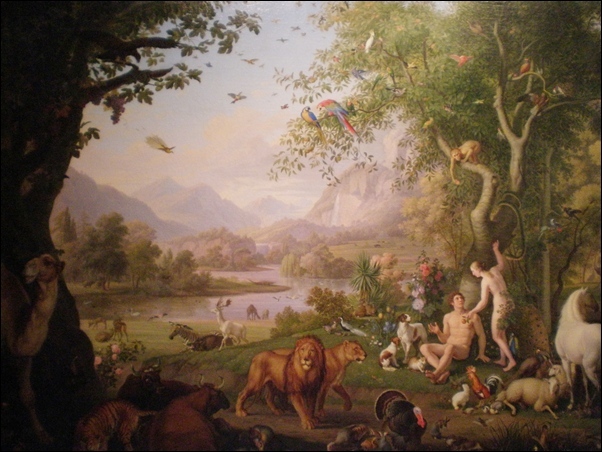 Despite this more complicated relationship between man and beast, during the story of Noah and the flood, man was given the responsibility for saving all of the animals. God could have instructed Noah to build a small boat to save only himself and his family, but instead tasked man with helping animals as well. Superiority and fear yielded to responsibility and care. Later generations in the bible would principally treat animals as inferior life forms for man to enjoy, whether by eating them, dressing with their skin, using them to work the fields, and offering them for sacrifices. The bible principally describes helping animals only to keep the animals alive for future service; there was no discussion of them as companions. Overall, the Pentateuch discussed plant life in a much more gentle fashion than animals. Consider Deuteronomy 20 which discussed going to war: All living things – including animals – were to be killed when fighting people with detestable belief systems. The animals belonging to those people were considered corrupted by the actions of the people and therefore worthy of annihilation. However, the fruit trees that belonged to those same people were spared. All items from the ground are kosher and permissible to eat, but animals are more complicated: they are innately kosher or non-kosher. But even kosher animals can become corrupted. Americans have grown very close to their pets and have begun to “humanize” them. People are now more inclined to give their pets human names (Bo) versus “pet names” like “Rover” a generation ago. Approximately 76% of pet owners consider their pets to be full members of the family and they treat their pets accordingly. Pet ownership in the United States rises every year. There are an estimated 78 million dogs and 86 million cats in the US in 2015 (APPA). That figure compares to 74 million children under the age of 18 in the country. Yes, there are more cats and dogs than kids. Consider further that the US pet industry is about $60 billion. That is more than the entire planet spends on babies. Entirely new industries have sprung up around pets over the past several years: pet insurance; pet day care, pet-friendly hotels and restaurants. There is even a special TV channel, DogTV, just for dogs to watch. We have taken animals from the fields into our homes and call them members of the family. The biblical story of superiority over animals evolved over time. The power of creation imbued man with power over animals. Stories of destruction were coupled with man’s responsibilities. But the biblical discussion of animal companionship was very fleeting. Man rejected animals right at the beginning of history, so God created woman to be his partner. Thereafter, the role of animals became utilitarian. Today, animals give us comfort. We have added pets to our families in even greater numbers than children. We read stories of the flood to our children and skim the vileness of man and their annihilation, and celebrate the many animals in the world’s first zoo. Darwin’s Theory of Evolution is that all living things had a common ancestor. Beyond considering man’s physical evolution, it is worth noting mankind’s emotional evolution in its relationship with his fellow creations. Two of the three main monotheistic faiths had amazing historical revelations in July 2015. If you read the New York Times, you only learned about one of them. 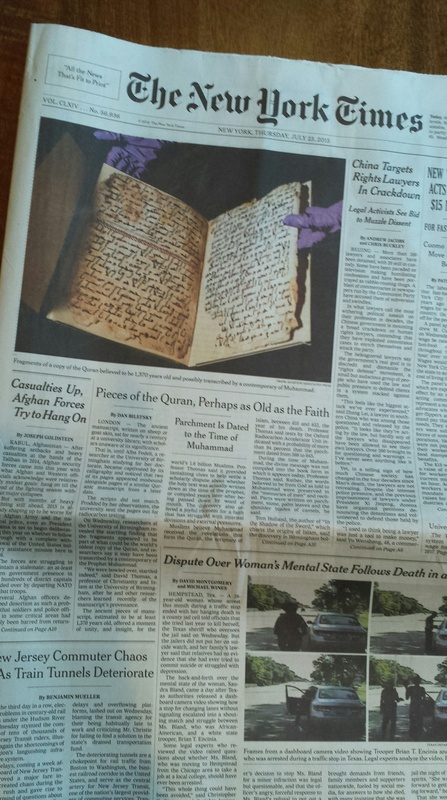 On a front page story with a large accompanying color picture, the New York Times relayed an incredible discovery: an old Quran that had been sitting on the shelves of the University of Birmingham, England for a century, was dated to around the year 600CE plus or minus 50 years. That would make this version of the Quran the oldest manuscript in Islam. According to Islamic tradition, their prophet Mohammed received divine revelations and compiled the Quran sometime between 610 to 632CE. Religious scholars had debated whether the Quran was passed down in oral form for many generations after Mohammed’s death before ultimately being written down. If the text indeed was written down on the parchment when it was prepared (sometimes parchments were washed and reused, and carbon-dating only relates to the parchment but not the actual ink and text), it would answer that outstanding question. Three days before the world heard about the dating of the oldest Quran, researchers uncovered one of the oldest texts of the Hebrew Bible, dating from around 500CE. 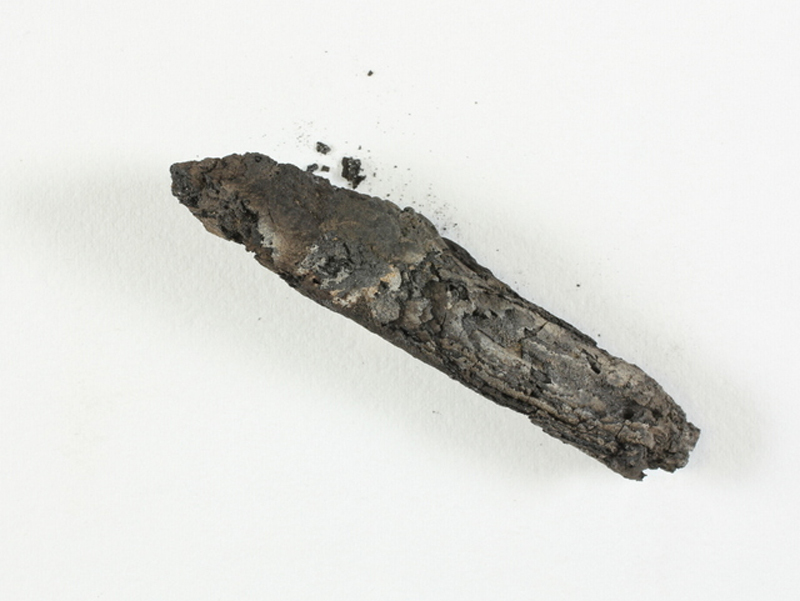 In the 1970s, the piece of a charred scroll was discovered in Ein Gedi in the Judean Desert. 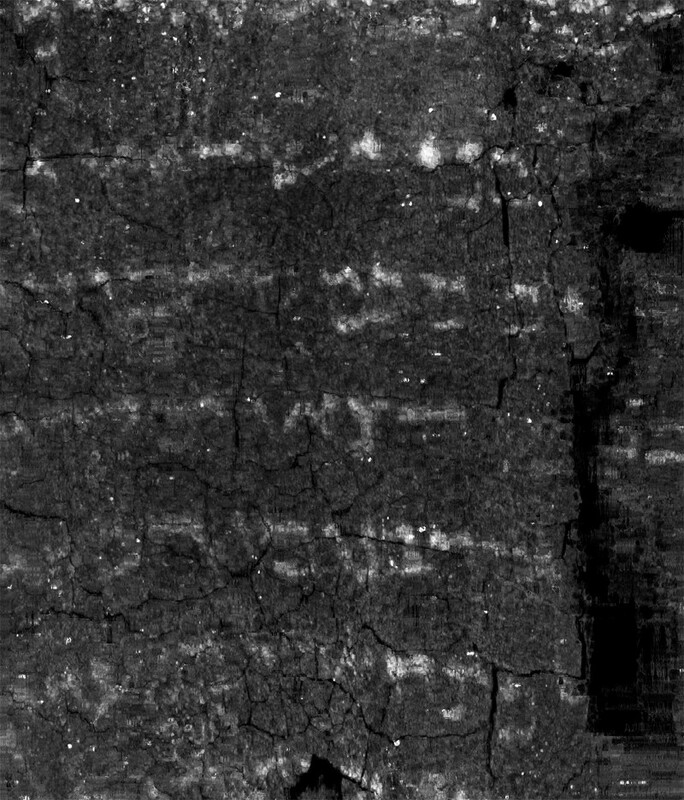 Only in July 2015 were researchers able to use the latest technology to decipher the damaged text to reveal sentences from the book of Leviticus. While older documents (by 500+ years) of the Hebrew Bible had been discovered not far from Ein Gedi, those documents were found hidden in jars within caves. This scroll was found in the ancient synagogue of Ein Gedi, revealing the earliest discovery of a Torah scroll housed in a synagogue. Yet the part “that’s NOT good enough for me” (to paraphrase the song) is the nagging question why the New York Times never misses an opportunity to slight Israel. The discovery of one old religious treasure received front page attention (for Islam) but a text from 100 years earlier didn’t even get a passing mention (for Judaism). Was it because the scrolls were found in the Judean Desert which further underscores the long history of Jews in the contentious Jordan Valley? Why do you think the NYT mentioned only one of these stories? 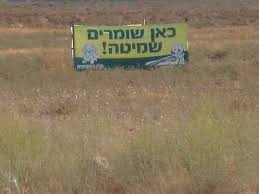 When were Jews barred from living in Judea & Samaria?